The Pointe Boutique wants to wish everybody a Happy Easter. Remember what we are really celebrating. Show your true colors. Let them fly. Comment with size and email to order! We at The Pointe Boutique would like to honor Dirk for his many accomplishments. Good luck in your retirement. Don’t be a victim of questionable fashion trends. Shop with us and style out. 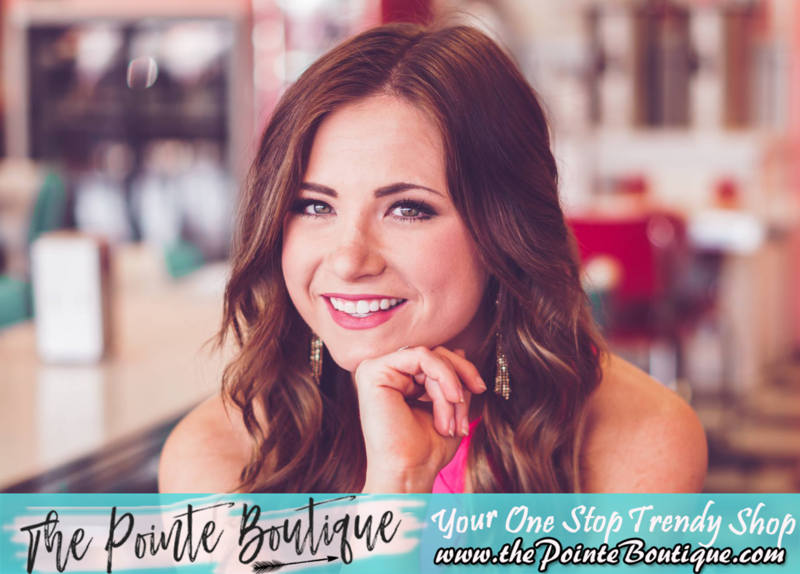 Gina Patterson says "I love my new earrings from The Pointe Boutique." I am a female entrepreneur, a mom, and a business woman. I am happily married to my best friend for two and a half decades. We have a daughter who graduated from Texas Tech in Marketing and owns her own marketing company and a son in high school who is passionate about football and baseball. I have always been drawn to decorating and fashion. From 2006 to 2012, my husband and I had a boutique and we traveled around Texas setting up at craft shows and Canton selling home décor, clothing and jewelry. We have come a long way since then and currently sell online through Facebook, Instagram and my website. Thank each and every one of you for taking the time to view my website. If I can do anything to make your shopping experience better, please do not hesitate to contact me and let me know. Your feedback is appreciated. If you enjoyed your experience, please let your friends know and share our Facebook page with them.